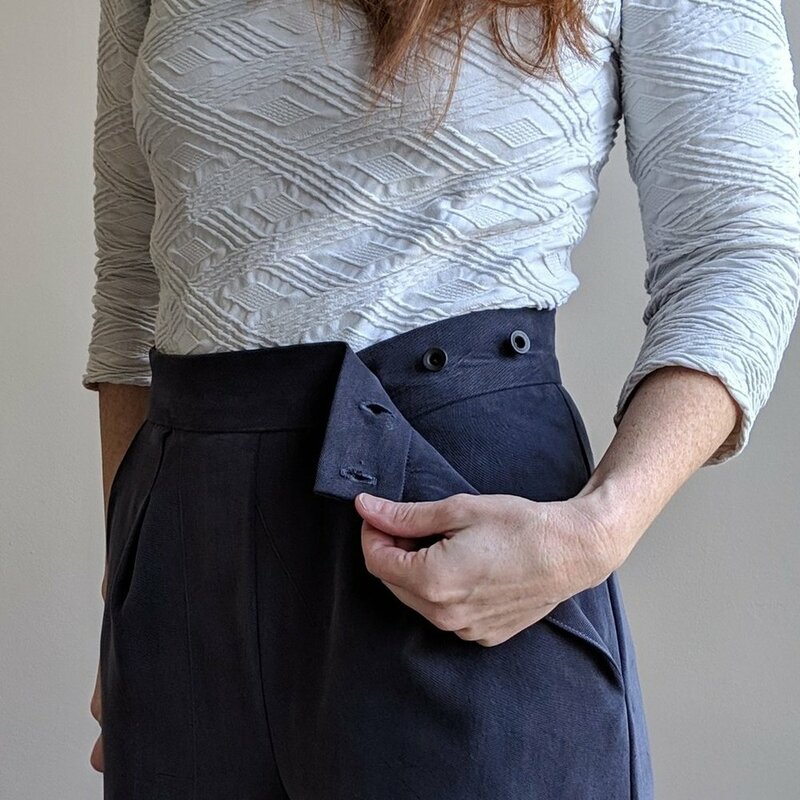 In the second installment of my #SewnWithHart fabric love story, I’m sharing more of what I made with the luscious tencel gabardine from Harts. Without any further ado, I introduce my new Flint pants! This was my first time making this pattern and after struggling with the fit on the Ailakki bodice, I was really thrilled to have an easy win. These pants have a unique crossover flap through the left slash pocket. There’s not even a zipper! Why didn’t anyone tell me about these during #SewFancyPants!?! Flint sews up incredibly quickly and would be fantastic for beginner pant makers. 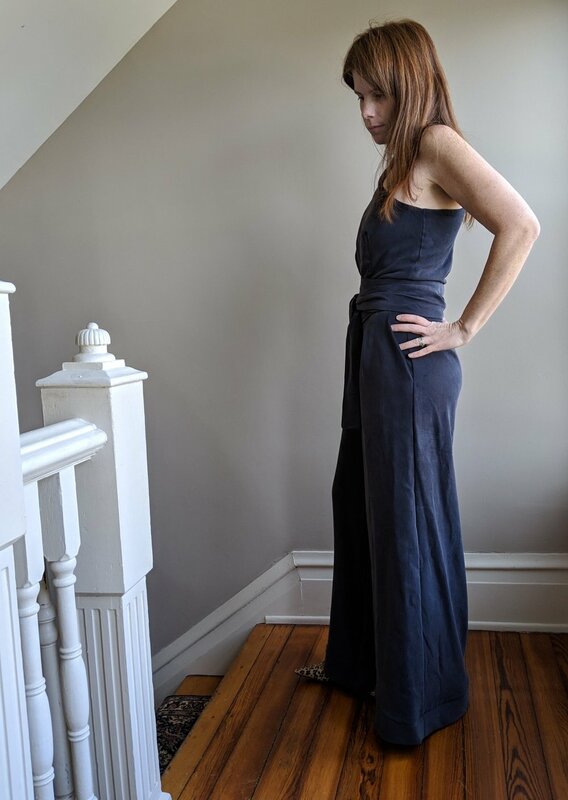 I made a straight size 6 (28” waist, 38” hips) in the cropped length. I barely made the pieces fit on what was left of the 2.5 yards of tencel twill I had already cut my Ailakki top from. The waistband needed to be pieced. 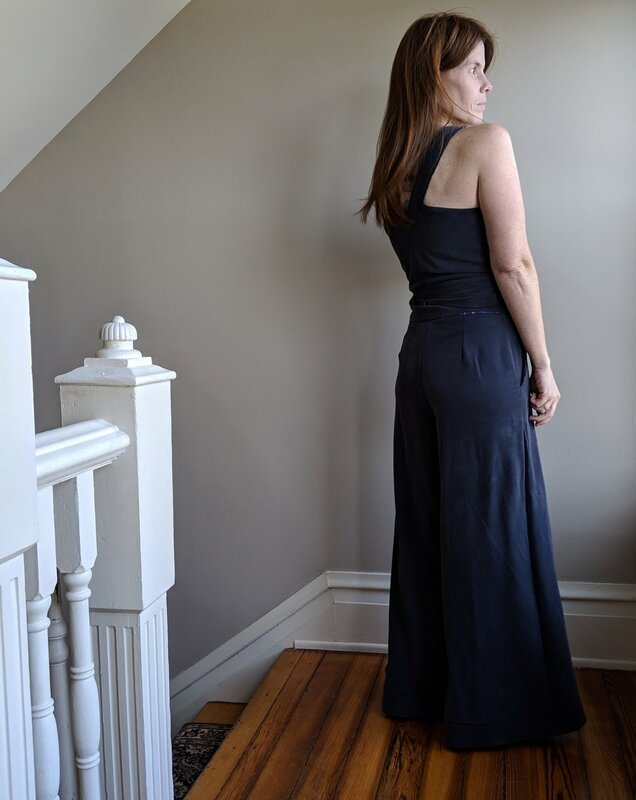 And of course my Flint pants pair perfectly with my hacked Ailakki wrap top! My only regret is that I didn’t interface along the pocket openings. They tend to want to bag open a bit. But these pants are comfortable af and make quite a statement at the same time. I believe the pattern calls for 2 buttons, but I used 3 because I love these Citron Jeans buttons so much. And of course, I put a Kylie and the Machine label in the back. It speaks for itself. I’m suddenly in need of a bodysuit pattern so I can replace this dingy rtw thing I’m wearing here. I’m ready for my Sparkly Ladies night now!